Goals and Purpose of Program: This low-key program, geared specifically for women, will train you to complete a 5k (3.1 mile) race – whether you’ve never run before in your life or you’re easing back to running after an injury or childbirth.. The Beginning Women Runner (BWR) program provides a structured, supportive environment for you to gain fitness and also meet other women with similar goals. This is a non-competitive program for women of all skill levels where each individual can progress at her own pace. Along the way, you’ll discover strengths you never knew you had, and make wonderful new friendships with your circle of running buddies! The program begins with orientation on Tuesday, March 26th and continues for 12 weeks with two coached sessions per week. Our volunteer coaches provide participants with individual attention and encouragement throughout the runs. In addition, you’ll get informal instruction on various aspects of training – including running gear, form and nutrition. 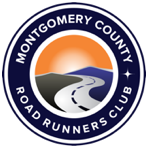 Please note that on Saturdays we will run on many different trails, all around Montgomery County. By the end of BWR, you will have experienced some of the most scenic and enjoyable trails the area has to offer! Prerequisites: All participants must be members of MCRRC in order to join this program. Participants must be at least 18 years of age. Cost/Premium Info: The program cost is $40 and includes the cost of a technical running program shirt, which you will receive during the course of the BWR program. Please note that MCRRC has a No Refund policy. Program registration fees cannot be refunded due to injury, schedule conflict or any other reason nor can they be transferred to another program. Target Race: Run For Roses 5K, Saturday, June 15th at Wheaton Regional Park, though this program will prepare you for any other summer 5k. The registration fee for the BWR program does not include entry to Run For Roses. Details: You’ll receive an overview of the program followed by a brief time trial on the track so that we know which pace group will suit you best. Pace Group Information: Pace groups will be determined from the time trial given at orientation (this is very low key – you do not have to run all of it and you may walk portions if needed), additional time trials will be done as needed at Tuesday workouts the first few weeks until registration closes on April 15, 2019. Workouts: Tuesdays @ 7 PM – Montgomery College, Rockville Campus, 900 Hungerford Drive, Rockville. Participants will also be expected to run on their own at least one other time during the week. If you cannot make a workout, please attempt to keep up with the schedule on your own. If you maintain steady progress, you will be successful in completing the 5K in June. Inclement Weather Policy: Running is an all-weather sport, so we will still run if it rains, unless there is lightning. Cancellations or postponements to the workouts will be posted to the Yahoo group as soon as possible so you can adjust your schedule and complete the workout on your own; these notifications will be posted no later than 1 hour before our scheduled workout via our internal listerve.